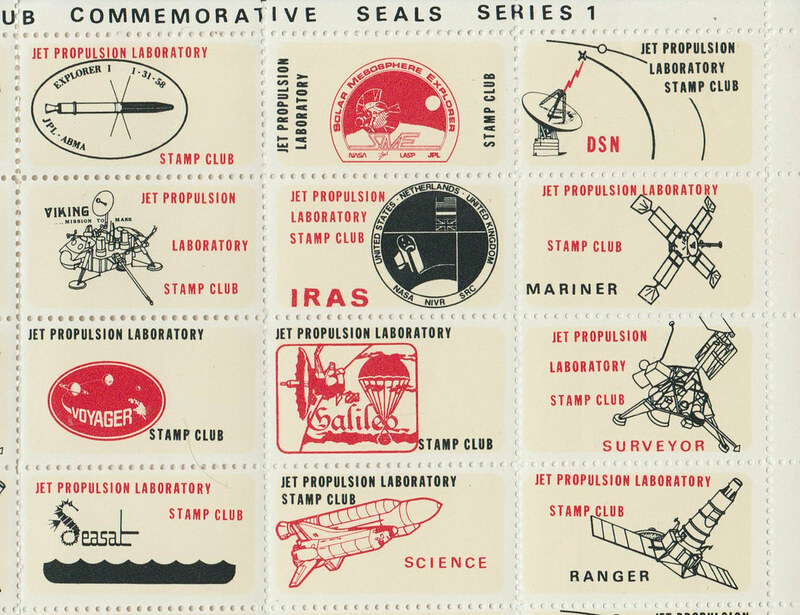 Anyone seen these Jet Propulsion Laboratory Stamp Club cinderellas before? Theres one in the middle of this cover. Going on for 5 years later, I can now answer this question. 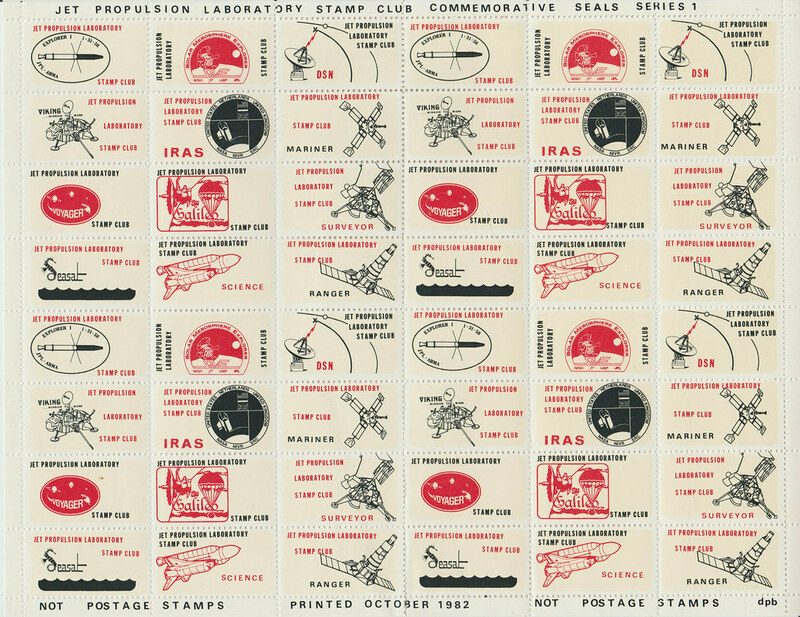 There were 12 stamps in this set printed as 4 blocks of 12 per sheet. The Jet Propulsion Laboratory is actually a part of NASA but is managed by the California Institute of Technology (Caltech). 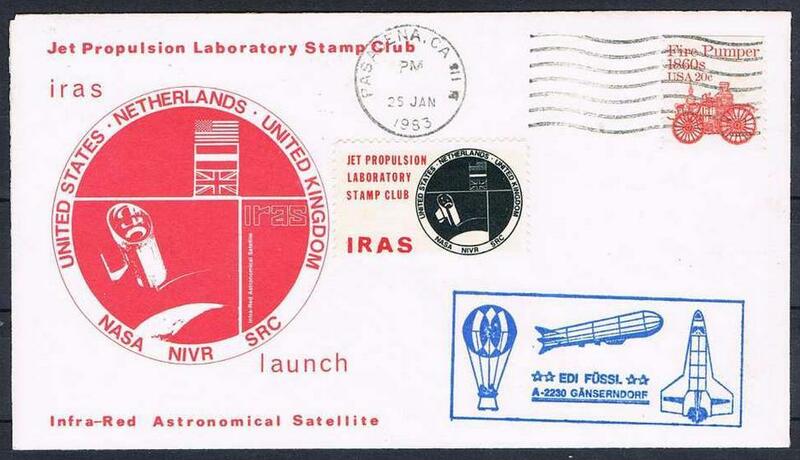 Most NASA departments have (or had) stamp clubs but, as far as I can tell, didn't usually produce Cinderellas there being no shortage of US postage stamps covering space missions. Many thanks for the information Daniel.